Kids are born curious, and new environments bring out that natural curiosity. Inspire your kids to learn about the world. Travel brings you into contact with people whose lives are vastly different from your own. Witnessing the hard lives that many of the worlds people lead - and how many maintain happiness throughout - provides a sense of perspective on your own life. 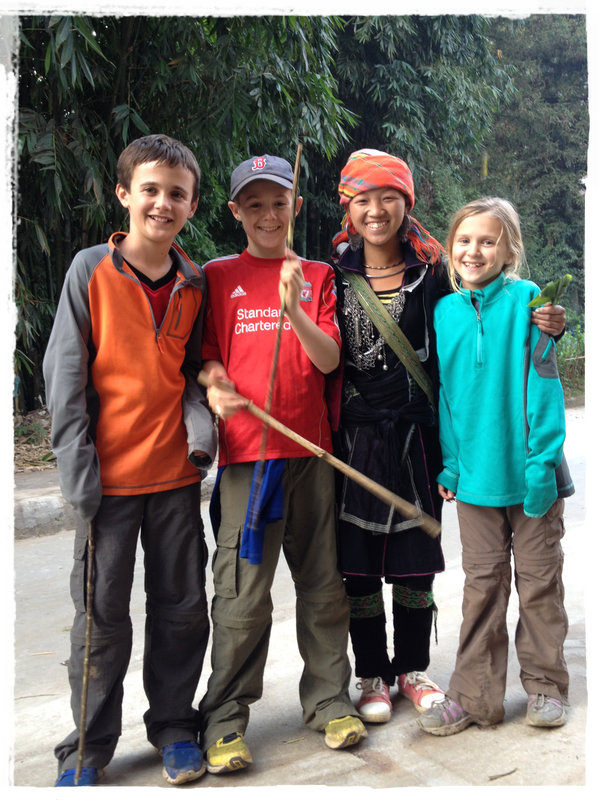 Sapa Kids is your child's ticket to an exciting mountain adventure. Inspire a love and understanding of the world as your kids learn about the way the ethnic minority kids live, play and survive in the mountains of Northern Vietnam. We offer several different options depending on what works best for you and your kids. All of our day trips and homestays aim to be fun, entertaining, and educational. Tasting foreign foods, hearing different languages and visiting homes in other countries can be an eye-opening experience for everyone. Mountain Biking – One of the best ways to explore the surrounding area. We have easy routes and tough downhill routes for the more experienced rider. Bush tucker trials – Forage for food and taste a variety of bush tucker eaten by the local ethnic minority groups. Games - Test your skills at a variety of trials and outdoor games. Explore the local villages – Take a closer look at the villages and explore the farms, paddy fields and fruit and forest. Enjoy the river – We are close to a river which is great for swimming on a hot day. Camp fire – Wind down after the day’s activity and enjoy the sounds of the jungle with the warmth of a fire.